After a flying visit to Berlin last summer we jumped on a plane to Sweden which was a first for us. 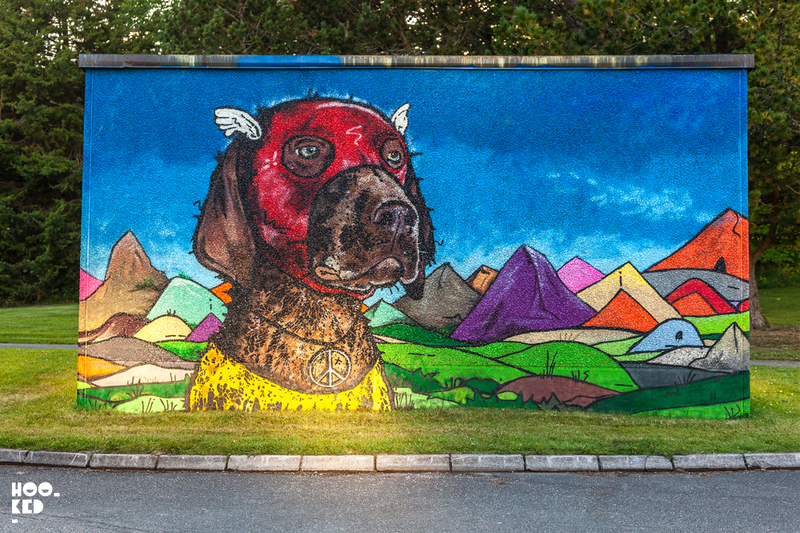 A London friend of ours suggested we check out the Rizoma Galleries' street art festival in the town of Falköping. We flew into Gothenburg airport and traveled to the city center where we stopped for some lunch before catching a two-hour train to Falkoping. After dropping off our bags we headed to meet the amazing team behind the festival and their Rizoma Gallery space located in the city center near the town square. 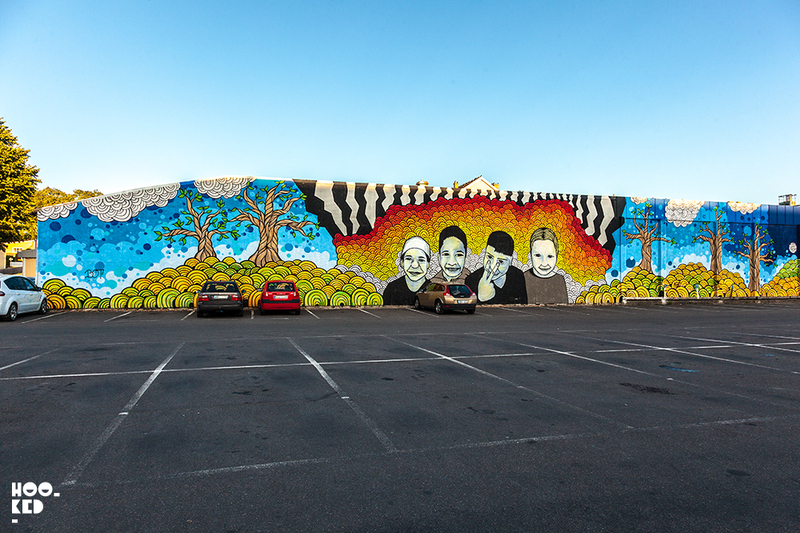 The gallery was set up in 2016 as a space to host art exhibitions, workshops, music gigs, events, film screenings, talks and a street art festival. 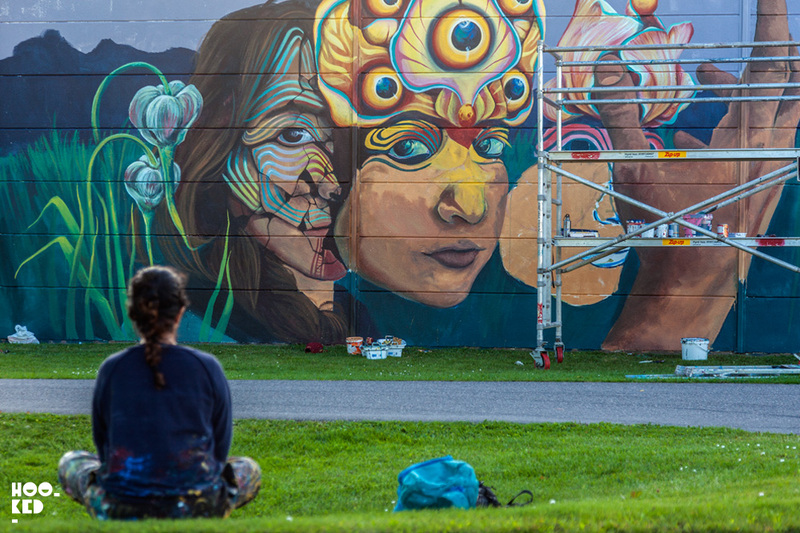 The week we traveled to Falköping was the second edition of the festival and with the gallery team having strong connections with Mexico collective Board Drippers a number of Mexican street artists were invited to paint at the festival. 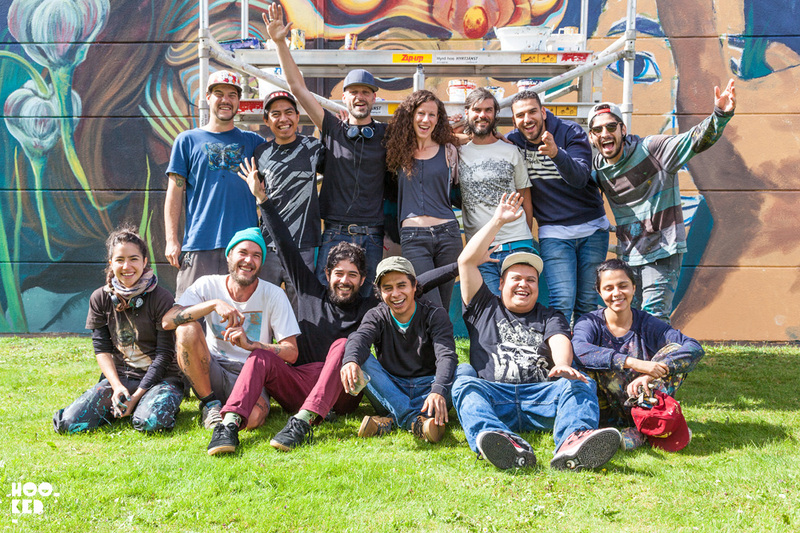 Some of the artists we got to watch paint while in town included Board Dripper, Cheke Chinicuil, Sens, GLeo, Ricardo Moste, Teddy Baden, Amara Por Dios, Mario Maple and Art by DANO. 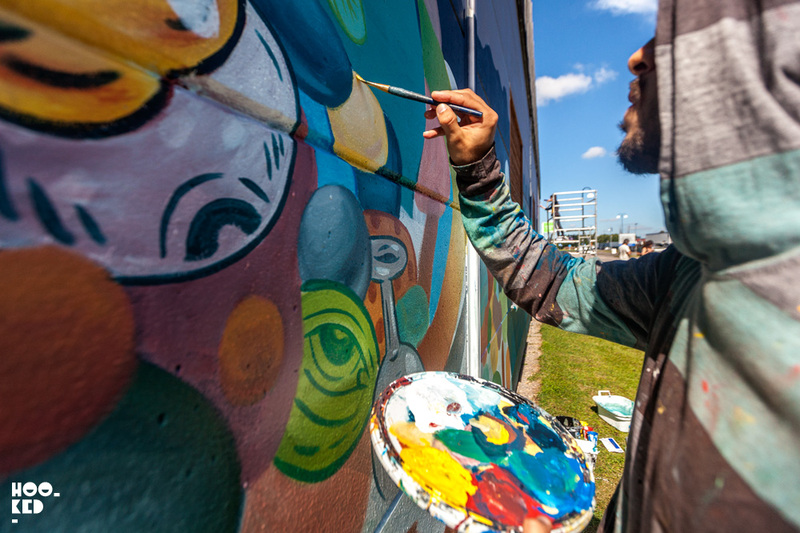 Mexican artist Mario Maple at work on his mural at the 2017 edition of the Rizoma's Street Art Festival. 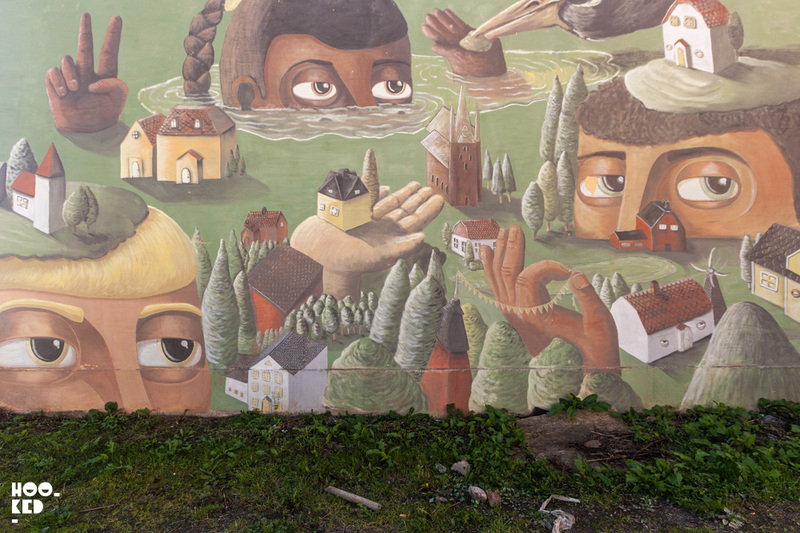 Colombian artist @gleo_co takes a short break from painting her mural in Falköping for the Rizoma Gallery’s Street Art Festival. The work of UK street artist Teddy Badden pictured above painted in 2017. We hung out with Teddy while he was at work on this fun piece and shared a series of work in progress photographs on the site last year. 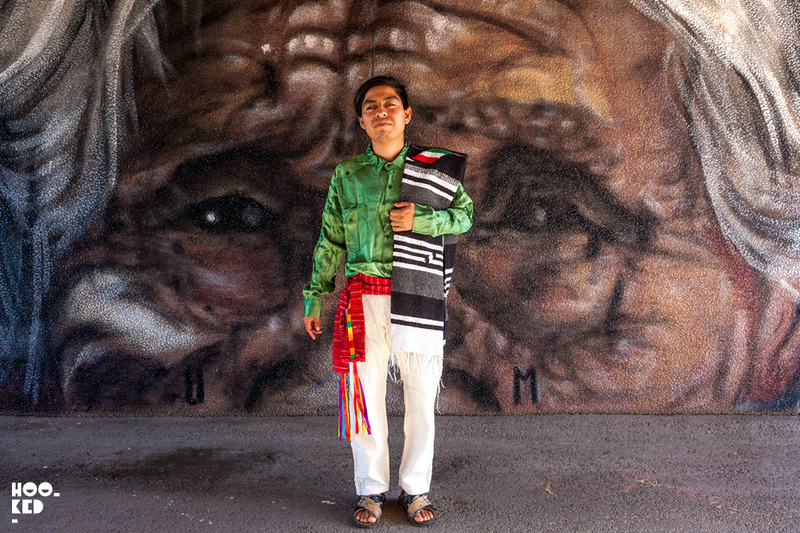 Hailing from Oaxaca, Mexico street artist Joel Merino poses in traditional Triquis costume in front of the portrait of his great-grandmother he painted in Falköping for the Rizoma gallery's Street Art Festival. The festival is back for its third edition with a jam-packed program of free events which will run from the 3rd to the 11th August. 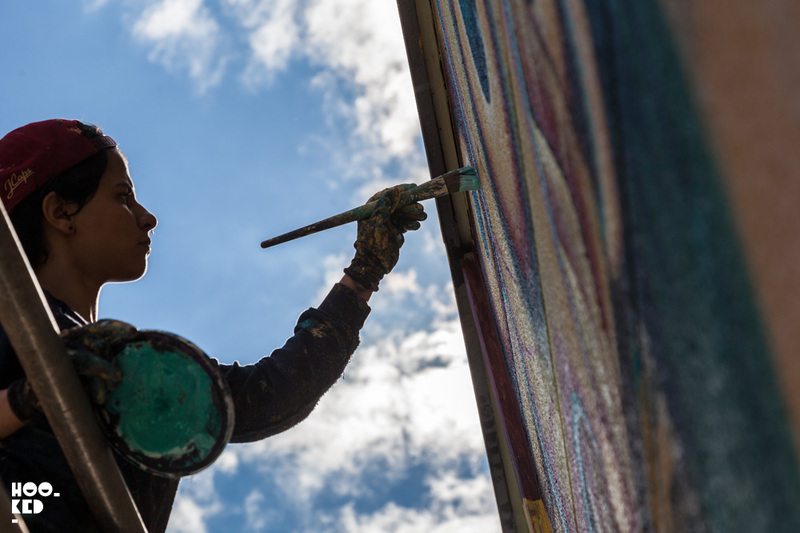 2018 edition will see artists Henrietta Kozica (SE) / Jade Midori (MEX) / Mina Romero (MEX) / Teddy Baden (UK) and Whom (UK) painting works in public surroundings around Falköping. 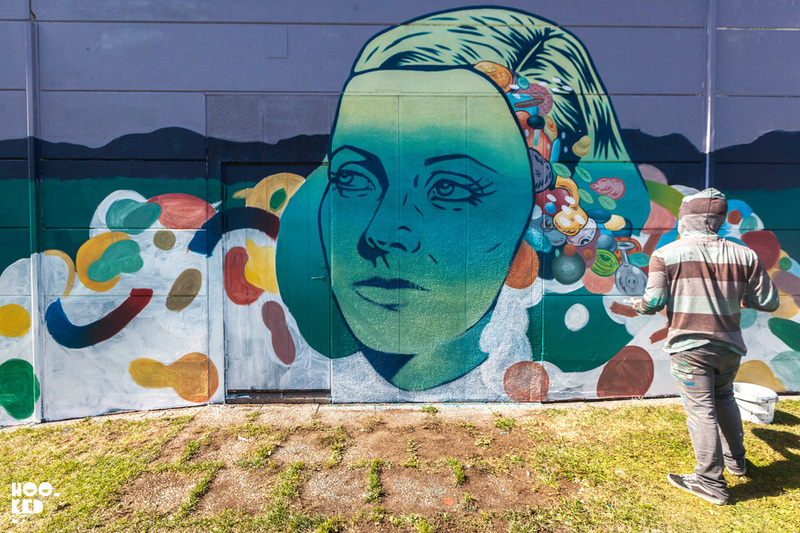 We, unfortunately, won't be able to join the team this year but we look forward to seeing the work the invited street artists produce during this year's festival. We will be following the Rizoma Instagram account for updates and for those of you who happy to be in town for the festival check out their Rizoma's Street Art Festival facebook event page with all the planned event. Rizoma Gallery, Flygares Gränd 3, 52142 Falköping, Sweden.